On this day five years ago, Bruce Springsteen released the American Beauty EP. Coinciding with Record Store Day, this was a collection of four songs that were considered for the High Hopes record, but ultimately didn't make the cut. This EP went very under the radar - I don't believe we discussed it on this blog, nor has Springsteen played any of the songs live. If you are a true Springsteen completist, feel free to go to Amazon and pick yourself up a copy. However, if dropping $40 for four songs isn't your speed, please allow me to link you to each song, and hey, while you are here, read a few of my thoughts on each song. The first track is "American Beauty". Immediately, I get vibes of "Frankie Fell In Love" from High Hopes, so it is easy to see why this cut. Also, Bruce is definitely singing strange on this track. It sounds like he is going for a Jagger-esque sound, but sounds more like Little Stevie. Next up is "Mary Mary" - if you thought Springsteen didn't use the name "Mary" enough in his songs, here he doubles it up. Written during the Magic sessions, the strings remind me more of something from The Rising. It's a solid song, but it definitely doesn't hide its demo-ness; the song seems to end mid-sentence. "Hurry Up Sundown" was allegedly the closest to making High Hopes, and you can see why - it is the most classic "rocker" in the quartet. Springsteen is double-tracked here, but to my ear it sounds more like there are dozens of Springsteen singing on this one. Finally, there's "Hey Blue Eyes". Another thin demo, this was written during the Working On A Dream sessions. It may be a bit too dark and sexual for Working On A Dream's themes - it even drops another Springsteen f-bomb. In the end, for as little fanfare as it received, there's really not a stinker here. It is understandable that these were left on the cutting floor - too similar, too incomplete, too wrong thematic, etc. However, for my money, the tracks themselves can hold there own among the later Springsteen Working On A Dream/Wrecking Ball/High Hopes catalog. Thank you for reading about four songs from five years ago. As with Nathaniel Rateliff, here we have another one of my personal favorite musicians covering one of my all-time favorite musicians. I'm not sure whether that means Springsteen is highly influential across multiple genres and generations, or that I don't have a very diverse musical taste. Either way, enjoy a version of "Dancing in the Dark" that sounds even more 80s than the original 80s version (and stick around towards the end for a surprise song change). 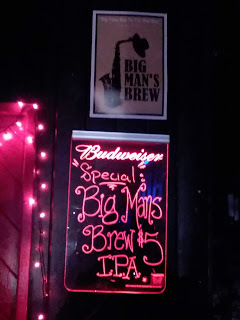 COVER ROOM - Nathaniel Rateliff and The Nightsweats - Atlantic City from Chris Tartaro on Vimeo. 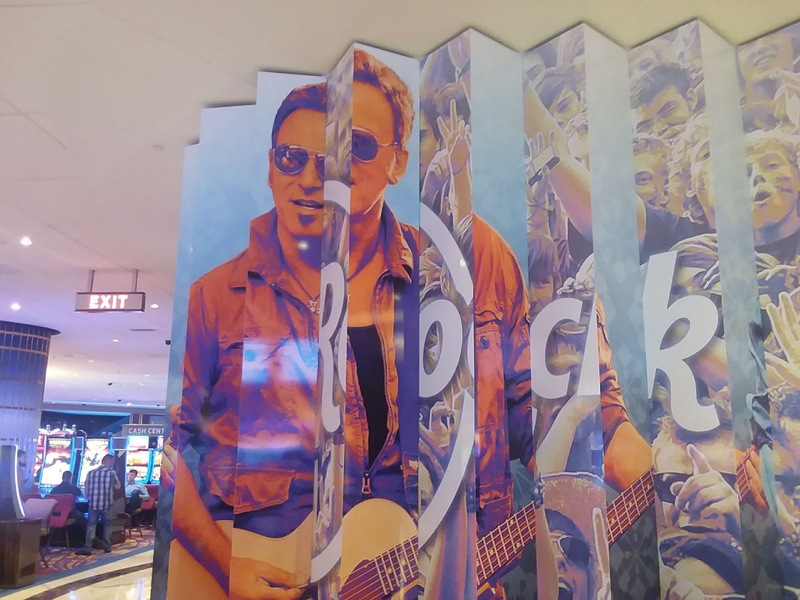 While "Atlantic City" isn't Springsteen's most famous song, it remains extremely popular among fans and other fellow musicians. Its stark, romantic imagery has led to several covers, including this quite recent version by Nathaniel Rateliff and the Night Sweats. Rateliff's version does owe a lot to The Band's interpretation, but it is still a terrific performance. So, there I was, just minding my own business at a local bar, when suddenly a great gust broke down the doors! Something powerful had arrived, that would change my life forever. 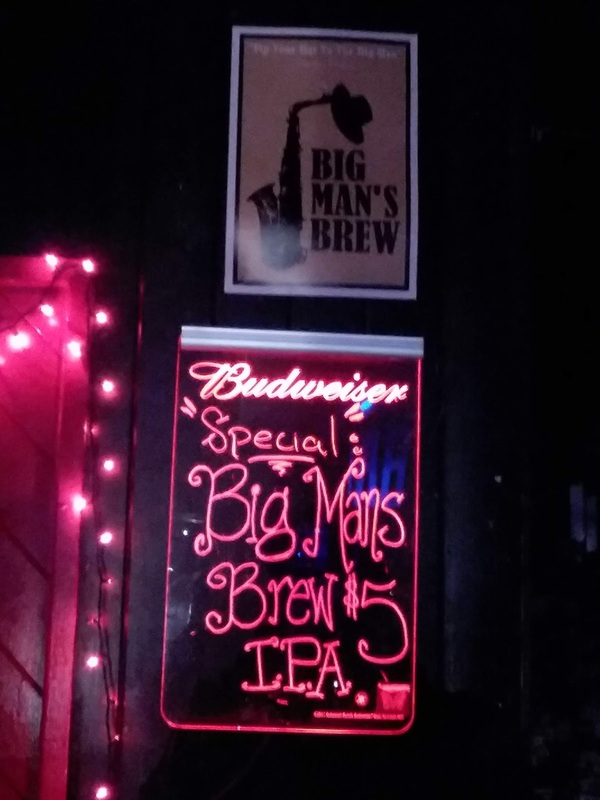 Yes, friends, that Big Man's Brew, an officially licensed beer to honor Clarence Clemons. Unfortunately, I am in the middle of a Sober September, so I didn't get to try it, but I can assure you it is the greatest beer ever made by humans. Rest assured, once my sobriety is complete, getting my hands on this beer will be my number 1 priority. But the rest of you drunks have no excuse - go out and get one for the Big Man today! We've been lazy here at Legends of Springsteen, and should have posted this video months ago. But, better late than never. Here's the man himself giving us all a glimpse of the magic of Springsteen on Broadway (coming soon to Netflix subscribers everywhere). Springsteen on Broadway was a great night for me, and the memory of the show only grows fonder with time. Whether you can see it live or streaming, the clip above proves that it is definitely worth watching. Bruce received a special Tony award that night, putting him one Emmy away from EGOTing. Which, at this point, isn't a given - hopefully he can figure out a way to get a writing credit on Succession. It's been a while, but the worlds of Springsteen and comics have finally crossed over again! Unlike previous entries, I have not read Guardians of the Galaxy #148, so I don't know exactly the context. I assume Drax is picking up the sax, to try to emulate his hero Clarence Clemons. However, while listening, he is overwhelmed by the emotion of the song, and cannot continue. Listening to the Big Man is a heart-wrenching moment for this particular big man. Well, at least that's what I think. I guess I could look up what exactly was happening, but where's the fun in that? 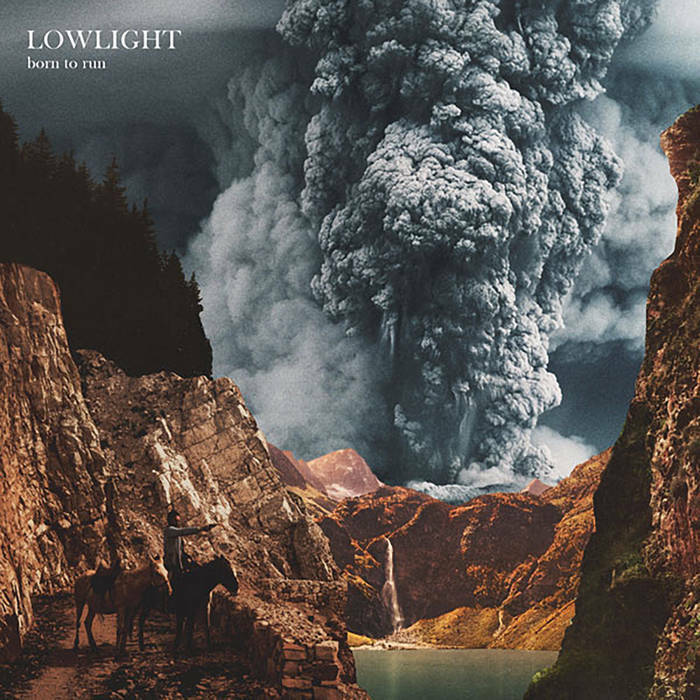 Call me a sucker for a good album name, but I've been recently turned on to Lowlight's Born To Run EP. Hailing from the great Garden State themselves, and frequent guests on the Great Albums podcast, the other Born To Run isn't full of bombastic rockers, but rather slow, emotional ballads that make it the perfect companion for a lonely night-time drive. Should you feel so inclined to check out and support the local New Jersey indie music scene, you can check out Lowlight's music and merchandise on their Bandcamp page.